« PHOTOGRAPHIC BIBLIOGRAPHY 1835 – 1869. I am a Media Studies PhD student in the Faculty of Information and Media studies at Western University in London, Ontario, Canada. My dissertation looks at the influence of photography on changing people’s perspectives and generating humanitarian sentiment. I am was thrilled to read the articles you transcribed from J.L., they are a great find. I will certainly be including some quotes from them in my dissertation (I managed to track down PDF copies of the originals as well). 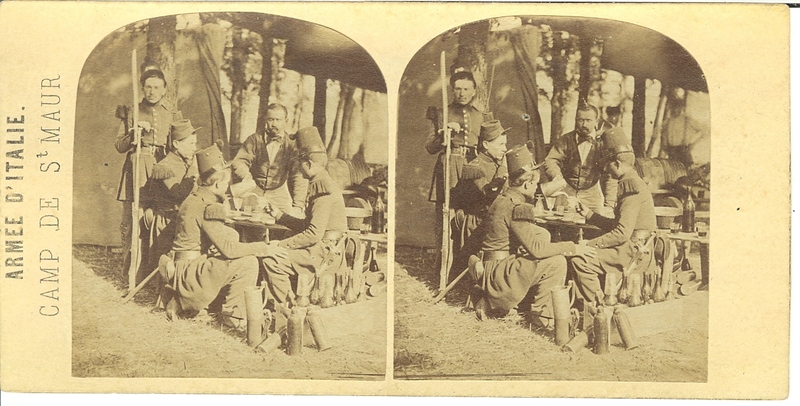 I wonder if you wouldn’t mind me also including a copy of one of the photographs of the French Army in Bivouac, the stereoscope of the stream of wounded soldiers from the Battle of Solferino (vue 716), as well as the photograph from the cemetery at Melegnano. They would be reproduced in my dissertation and possibly on my own blog. I would certainly include the reference ‘Photograph courtesy of vintagephotosjohnson.com’ as you have suggested to others who have also found the photographs so fascinating and worth sharing. Thank you for making all this wonderful material available! 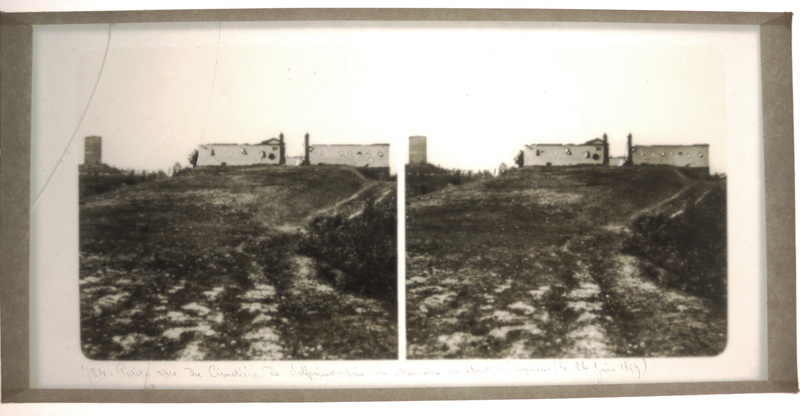 Like Jan Schimmelman I am very interested in the stereoscopic slide of the cemetery at Melegnano. The one reproduced your blog is of better quality than reproductions I have seen elsewhere, and those do not include the French caption. 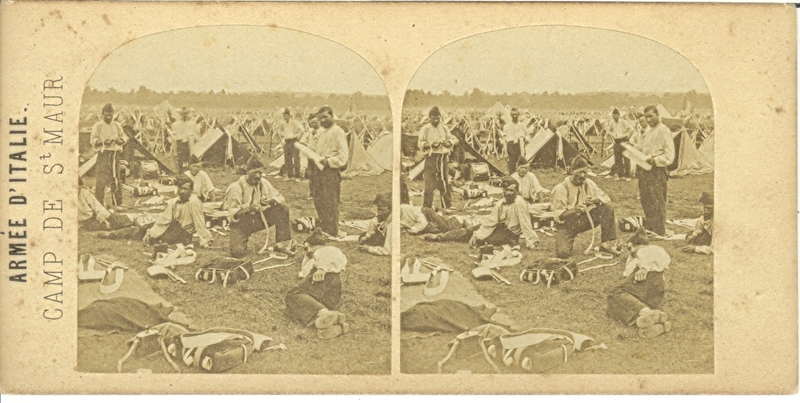 I am writing a book and preparing an exhibition that deals, in part, with photographs of the north Italian campaign of 1859, and particular of dead and wounded combatants. I too would like very much to buy a copy of that slide, or at least obtain a very high resolution scan of it, if you know where I might be able to get one. Dear Jan, thanks very much for your message about this. I would be delighted if you could share the image with me. My email is david.forgacs@nyu.edu I’d also be very interested to see your book on Couppier. Could you let me have the details? Hi, Yes, you may use the photo. Congradulations on finishing the book. It always takes so much more work than you think. Please let me know when its out, as I would like to see it. I still review books for Choice magazine, a book review journal for academic libraries. I might even be able to review it for them; although I cannot guarentee that — as they, not the reviewer, select the books for review. I haven’t spent much time on this blog recently as I have been trying to complete the 19th century bibliography I’ve been working on, but I will be watching this blog page and posting more things on the it soon. Congradulations again. William. 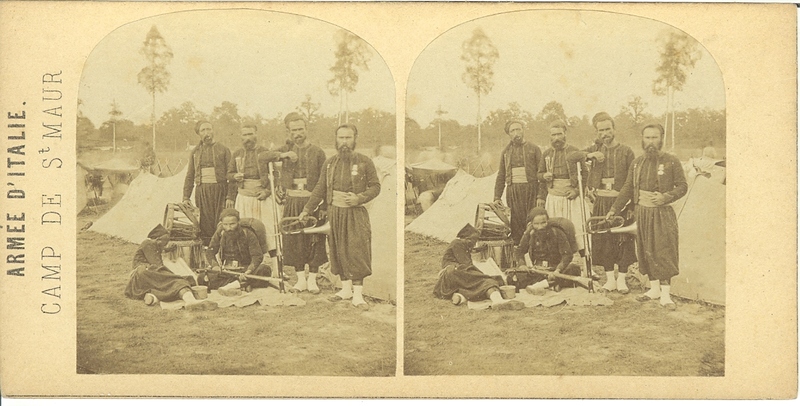 Since making my initial comment about the authorship of the glass stereoviews of the Franco-Austrian War posted here in 2015, I found (much to my delight) that I actually own 4 views in the series (hidden in the collection by my late husband under ‘French anonymous.’ I think it is clear that this series was made by Jules Couppier for I also own 7 views in his Russian series made the year before (1858) with the identical format/presentation and with titles written by the same hand. 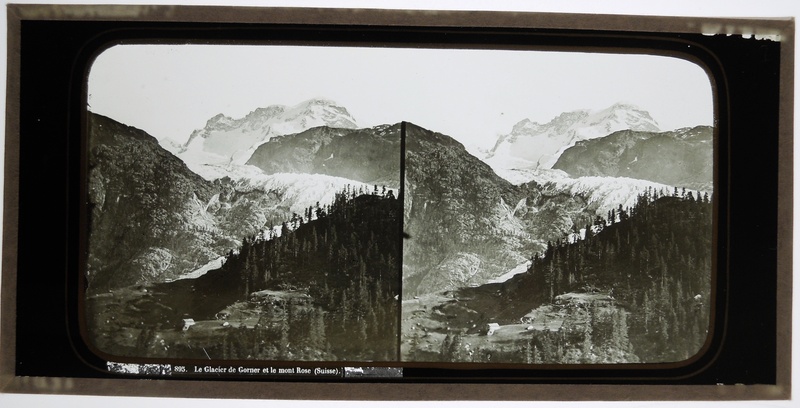 There were only around a dozen French photographers who made glass stereoviews in the 1850s, and only 4 mentioned in 1855 in ‘La Lumiere’ as masters: Claude-Marie Ferrier, Charles Soulier, Athanase Clouzard and Jules Couppier. Ferrier did not go to Italy in 1859 (too busy setting up his new business with Soulier) but he did send his son Alexandre. His views were published as ‘Excursion sur le théatre de la guerre d’Italie photographiée pour l’usage du stéréoscope’ in 1860. Their presentation is very different. 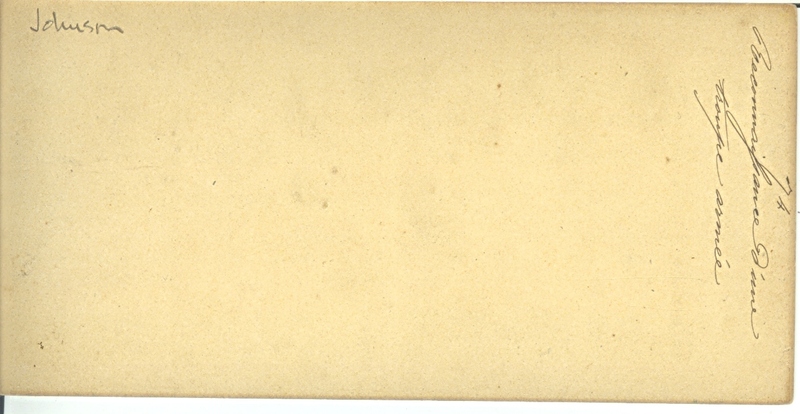 By this time Ferrier had long abandoned those handwritten labels (too labor intensive thus costly to produce). 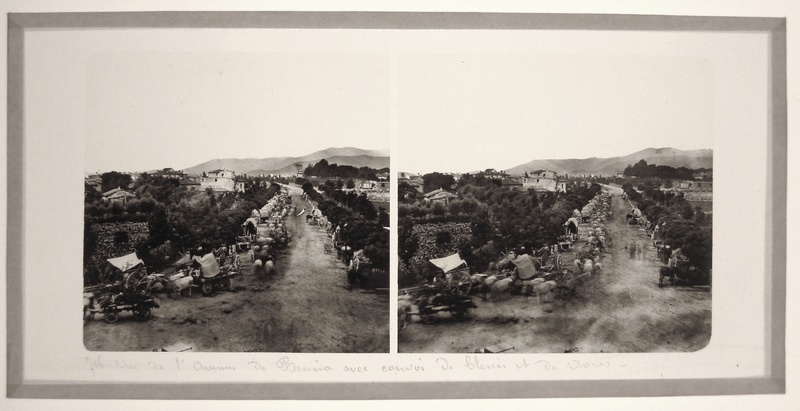 I am now working on my book on Couppier,, who in addition to making glass stereoviews of Russia, the Franco-Austrian War, and (of course) France, made a series of views in Algeria, a French colony. My book on ‘The Glass Stereoviews of Ferrier & Soulier 1852-1908’ is available through blurb.com. To find it search for either ‘schimmelman’ or the ‘Collodion Press.’ No views of war, however. Thank you for this new information. It is great when someone who knows more about a certain aspect of the history of the medium takes the time to share that information and we have a better, more precise knowledge of the history. Its why I posted these little essays in the first place. 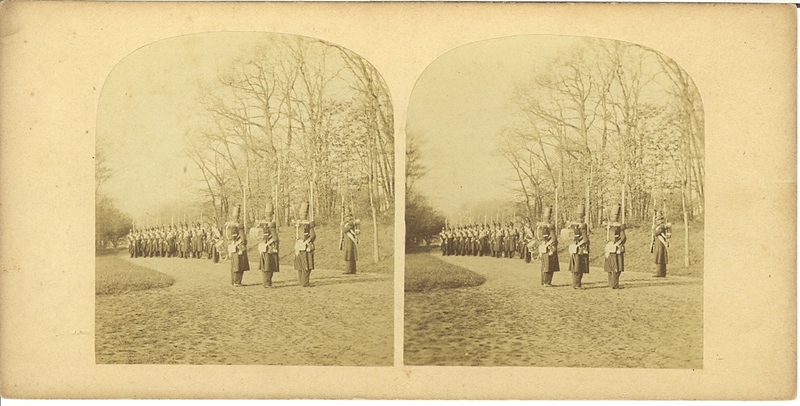 I find it interesting that the image published on the musee-armee website is reversed from the glass stereo image I’ve posted. I’m assuming that its a paper copy. Thank you again for taking the time to share your knowledge with me and with whomever else reads this. 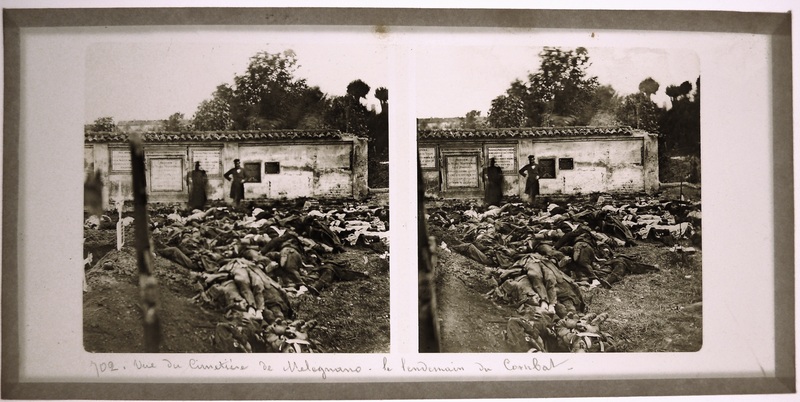 Jules Couppier can be the author of the stereo views of the battle of Solverino. But the catalogue of the Musée d’Armée speaks of “attribué” which means that it is not certain wether he was the photographer. I doubt if these views were a great commercial success for a publisher like Ferrier. I assume that the pictures were made as a study for a panorama painting. 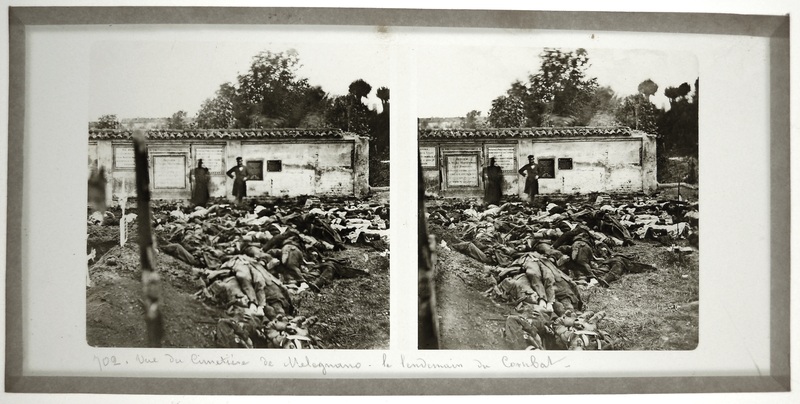 During the war of the Crimea some photographers like Louis Méhédin worked in commission for Colonel Langlois, who had ordered a panorama painting with the title “The siege of Sebastopol”. He opened for this painting a building at the Champs Elysees in Paris at the corner of the Rue d’Antin. That panorama painting was replaced in 1865 by a new one titled “The battle of Solverino”. Langlois died in 1870. 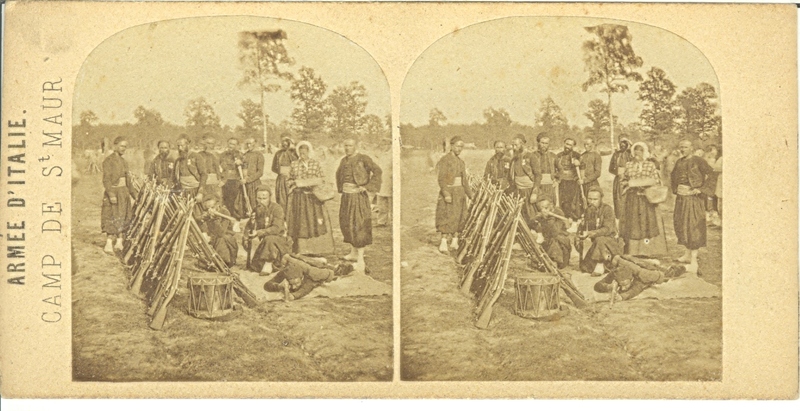 Already in 1855 the photographer Disderi suggested that there should be a photographic department in the French army to document the battle scenes. Jules Couppier and Claude Marie Ferrier had visited Egypt in 1858. 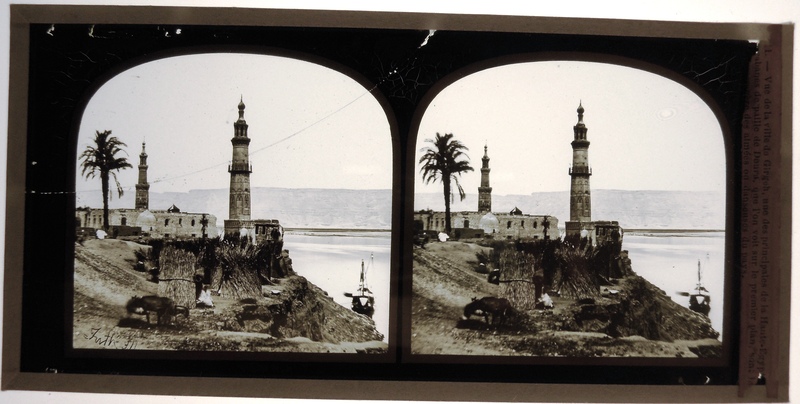 They published a series of glass stereographs, that were exhibited at the salon of 1859. So these photographers have collaborated. 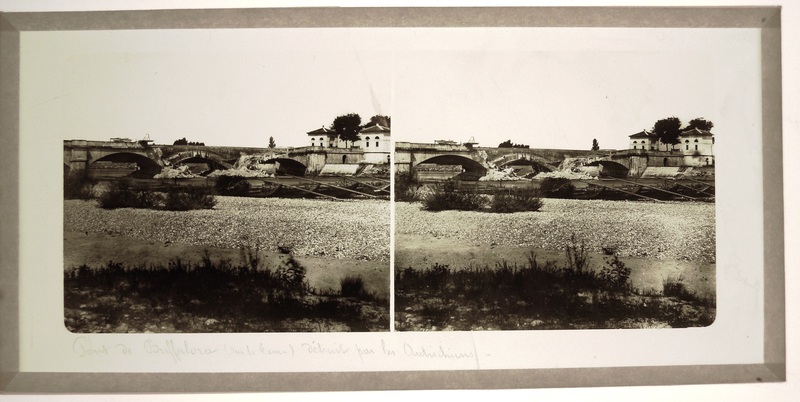 After the death of Jules Couppier in Amélie-les-Bains-Palalda (Pyrénées-Orientales) on april 14th 1860, Claude Marie Ferrier evaluated his stock of photographs and apparatus at F frs 11.388 (in a statement of 29 mai 1860). Couppiers widow , Anne Anna Thierry and their son Jules Charles Couppier lived then in Paris at 21 bis, rue de la Contrescarpe-Saint-Marcel. I agree that much research has to be done before we can attribute the authorship of the stereoviews to Couppier or Soulier. A source can be the depot legal in Paris. 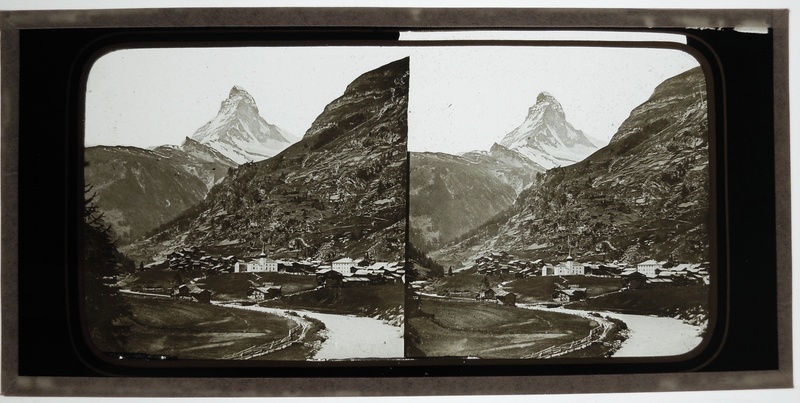 Denis Pellerin did much research about the stereoviews on paper, his work should be extended to the stereoviews on glass. Hi, I just wanted to comment on this post even though it was from quite a while ago. I am writer of historical fiction, and the fifth book in my Jack Lark series will be set against the battles of Magenta and Solferino. I was fascinated by these images and the posts that go with them. I had already discovered the articles sent by a correspondent of the Photographic News, but I had never seen these images. Quite simply they bring home the effect of the battle in a very evocative and powerful way. Thank you for posting such an informative article. I would also like to ask if I can reference your page in the Historical Notes that I write to accompany my novels. I am sure these images will be of much interest to my readers. Once again I find that, as always, photographs MAKE IT REAL. In the early 1930s the economist Paul Taylor realized that photographs brought all those dry statistics about the migrants flooding into California to life and gave them an emotional edge; which is why he hired Dorothea Lange to photograph for his reports to the California legislature. Lange later became a key photographer for the Farm Security Administration and helped define the look of 1930s America. Thank you for your comment. Unfortunately I have not yet read your books, but as an avid consumer of historical fiction, I will quickly rectify that lack. You certainly may reference this essay in your Historical Notes, I feel honored. Thank you for this. I have posted a link to your website on my Facebook page. I will also be making a reference to it in the historical notes at the back of my novel, THE FORGOTTEN SON, which is set against the campaign in Northern Italy and specifically the battles of Magenta and Solferino. It will be published globally in English next year by Headline Books. The battle of Solferino caused the founding of the international committe of the Red Cross. The swiss Henri Dunant saw the aftermath of the battle of Solferino and was very active in this movement. In Holland the military doctor Basting and the former naval officer Charles William Meredith van de Velde were supporting the initiative of Henri Dunant. Charles van de Velde toured through the Netherlands with a lecture about his travel through the Holy land. In 1864 international country representatives signed the Geneva convention. Dr Appia and Charles van de Velde were the first delegates of the Red Cross committee during the Danish-Prussian war. 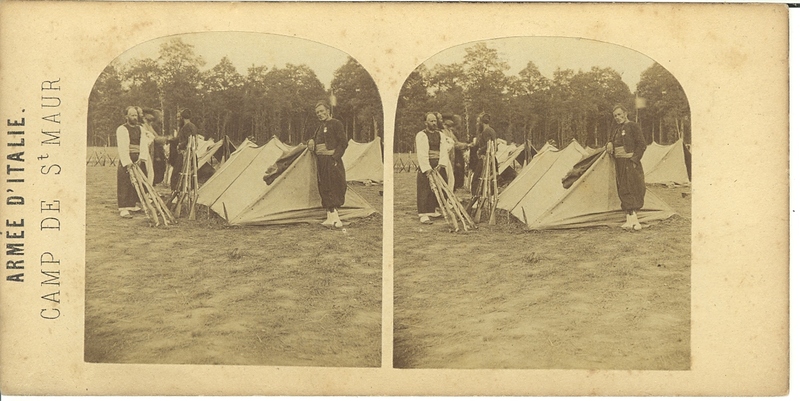 I would not be surprised if the Dutch members of the Red Cross committee used the photographs on glass by Ferrier of the Franco- Austrian war of 1859 as slides for the Magic Lantern. I’m Giovanni Cerino-Badone and I’m writing from Italy. I’m an university researcher and I’m working with prof. Costantino Cipolla of the university of Bologna about the 1859 campaign in Lombardy. 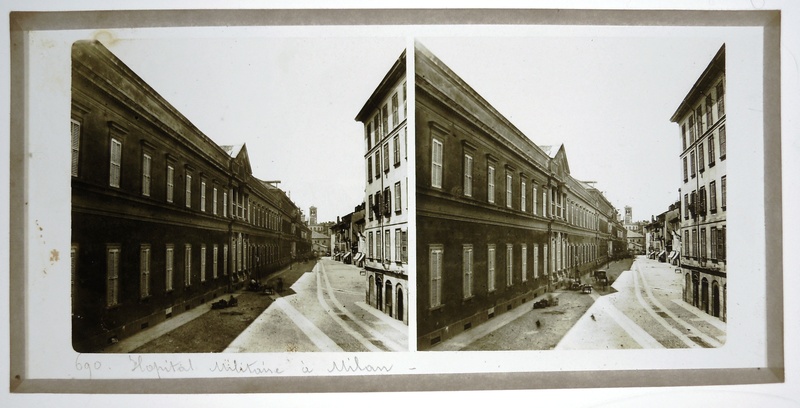 Your photographs about Melegnano are simply outstanding. In Italy is known only a bad quality version of the cemetery picture, usually publisched inverted. The other pictures of Melegnano with the french camp in the foreground ad the wounded’s convoy from Solferino are really great. Could we publish your photograph in a university article about 1859 campaign? Do you have other picture like these? I just saw your e-mail. 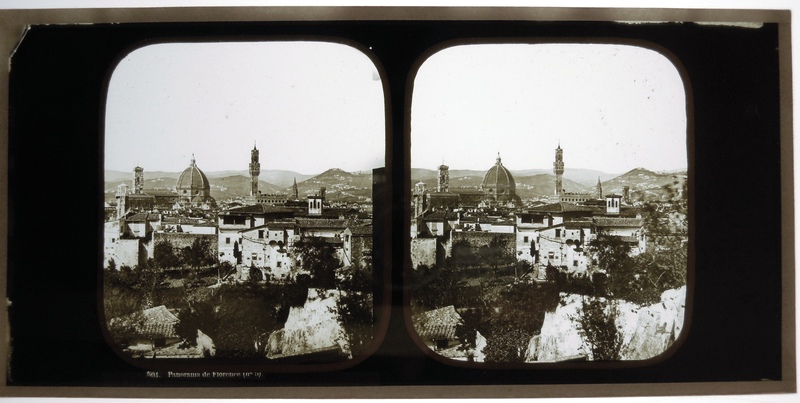 For the next two days only someone is selling approximately 150 glass stereoviews on Ebay UK. It is unusual for that many glass views to be available at any time. There are two views of the second war for Italian independence for sale in this group. If you hurry you may be able to purchase them and then use them in any way you want. Go on Ebay UK then Collectables and glass stereoviews and they will appear. Or you click directly on the below mentioned address. 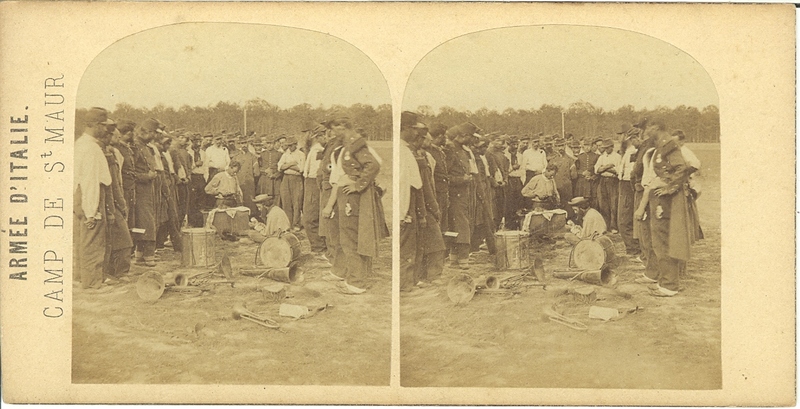 Yes you may publish a copy of any of the stereo views that are on my website. I would ask that you print a credit under the photograph. However glass stereos are difficult to copy easily because the image is on a layer of glass sandwiched between two other layers of glass; and, in fact the scans that I put on my website are not as good as they could be, as I copied them with an inexpensive camera where I could not tell if the actual image was in focus when I was making the copy. 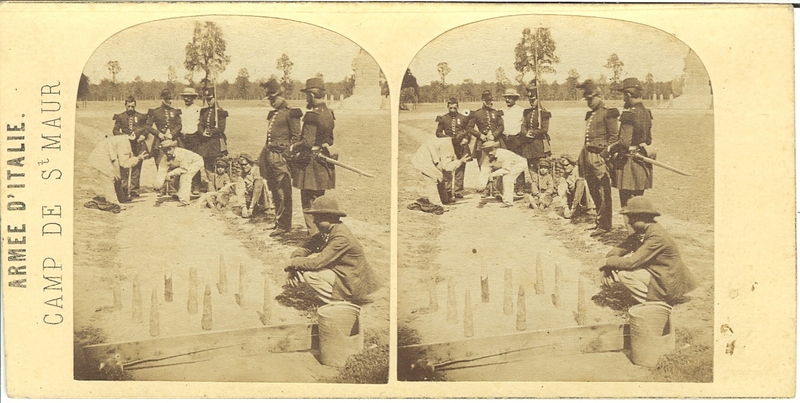 I see that several of those scans are not in perfect focus and are less sharp than the original stereos. If you want to publish these images you should probably get better copy prints made by a professional photographer who can do the job correctly. I know a good photographer in Rochester, NY that I trust and, if you want to do this, I would give you his name and let you arrange the costs and details with him. I would bring him the views, etc. when you have made the arrangements. 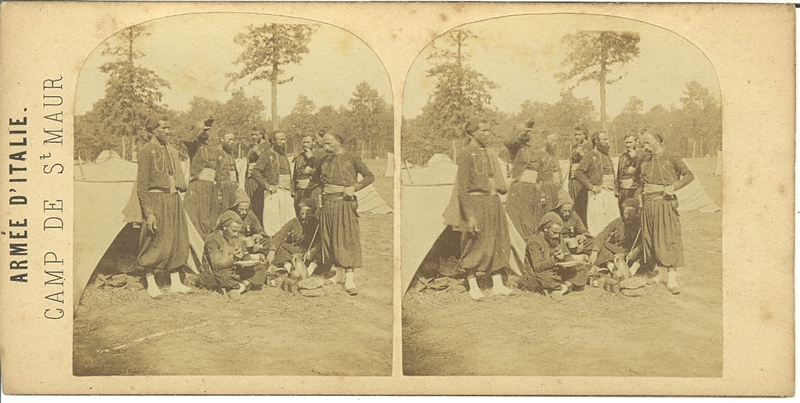 I have only one glass stereo view which may or may not be from the group of views published on my webpage. I acquired it at the same time as the other views more than forty years ago. It seems similar to the other views, but there was no label or title, so I cannot be certain that it is part of the same series. I am attaching a scan to this e-mail, and if anyone can identify the city and confirm any more about the picture I would be grateful. If you have any further questions or if I can help further please contact me at http://www.wjphoto@rochester.rr.com. This e-mail address is more direct than the other and I will read it sooner.